For Amber and Stefen eloping in Puerto Rico was a no brainer. 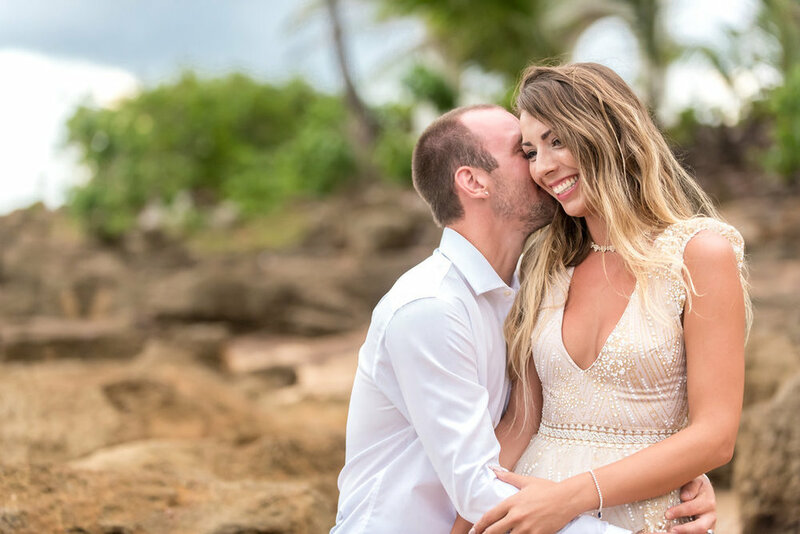 Amber has family in Puerto Rico and once they saw the Dorado Beach, A Ritz-Carlton Reserve they knew it was the perfect location for them to say I Do! Amber and Stefen met over 10 years ago at a mutual friends house in High School. That first night of meeting each other they did not stop talking, Stefen says he knew that night she was the one. After 8 years of dating and having just moved into their new home, on Valentine's Day, Stefen got down on one knee and asked Amber to marry him. Exactly 10 years after they started dating they exchanged vows in paradise and became husband and wife. They started off as friends, quickly became best friends, then lovers and now life partners.